ISPAN consists of licensed registered nurses who are dedicated to the practice of plastic and aesthetic nursing. ISPAN is moving forward, a dream has become a reality! We are excited to announce our newest "product" PSNF! Spread the word of ISPAN membership! Download the ISPAN membership brochure and hand out to potential members and share your ISPAN experience! The International Society of Plastic and Aesthetic Nurses (ISPAN) and Canadian Society of Aesthetic Specialty Nurses are pleased to offer a joint membership opportunity to Nurses interested in joining both societies at a discounted rate. Visit our Membership page for more information! The International Society of Plastic and Aesthetic Nurses (ISPAN) and Society of Plastic Surgical Skin Care Specialists (SPSSCS) are pleased to offer a joint membership opportunity to certified nurses interested in joining both societies at a discounted rate. Visit our Joint Membership page for more information! The online version of the 4th Edition Core Curriculum for CANS & CPSN is now available for purchase! This material is the main study guide for both the Certified Aesthetic Nurse Specialist and Certified Plastic Surgical Nurse exams. The Core book is a resource for every aspect of patient care, the development of educational materials, and a guide for self-development. Each chapter includes principles upon which to base an effective plan for patient care. Purchase your copy and sign up for the CANS or CPSN exams today! 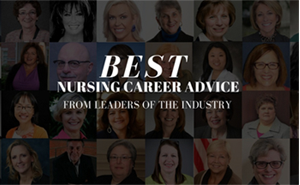 Check out this great career advice article featuring 34 influential nurses' unique perspectives including ISPAN President, Georgia Elmassian! Make an Investment in Plastic Surgical Nursing Education!